Order 4-10 guides and get 15% off! Order 11+ guides and get 20% off! "All of us would prefer to use only positive treatments for these behavior problems... [M]ost people involved in this field today recommend that a functional analysis be carried out before any treatment. The idea behind the functional analysis is to see why the person is misbehaving...A teacher might give a student difficult class work for 5 minutes, easy work for 5 minutes, then difficult work for 5 minutes to see if the student was more disruptive during different types of tasks. Similarly, parents or evening staff could alternate nights of giving or withholding nighttime snacks to see if these treats are having an effect on problems around bedtime..."
"Several problems come up when trying to discover why someone is misbehaving using a functional analysis...For example, as we just described, a teacher could change the difficulty of tasks to see if this changes a student’s behavior problem. But what if the student then hits another student when he is upset? What if he hurts himself? 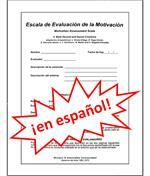 Is the information from such an assessment worth the risk of injury? "Another problem...is knowing where to look...Unfortunately, in the past, little help has been available to assist in selecting among the infinite number of things that might be causing certain behavior problems." 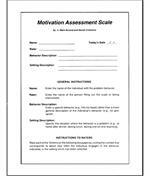 "We have developed the Motivation Assessment Scale (MAS) as an additional way to find out why people’s problem behaviors persist by assessing the influence of social attention, tangibles, escape, and sensory consequences on problem behavior. The MAS is a sixteen item questionnaire that assesses the functions or motivations of behavior problems. The sixteen items are organized into four categories of reinforcement (attention, tangible, escape, and sensory) described in the previous section. The MAS asks questions about the likelihood of a behavior problem occurring in a variety of situations (e.g., when presented with difficult tasks). 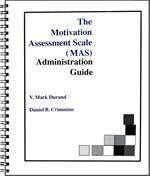 "In addition, using this scale does not involve making behavior problems worse, a feature that has obvious advantages. 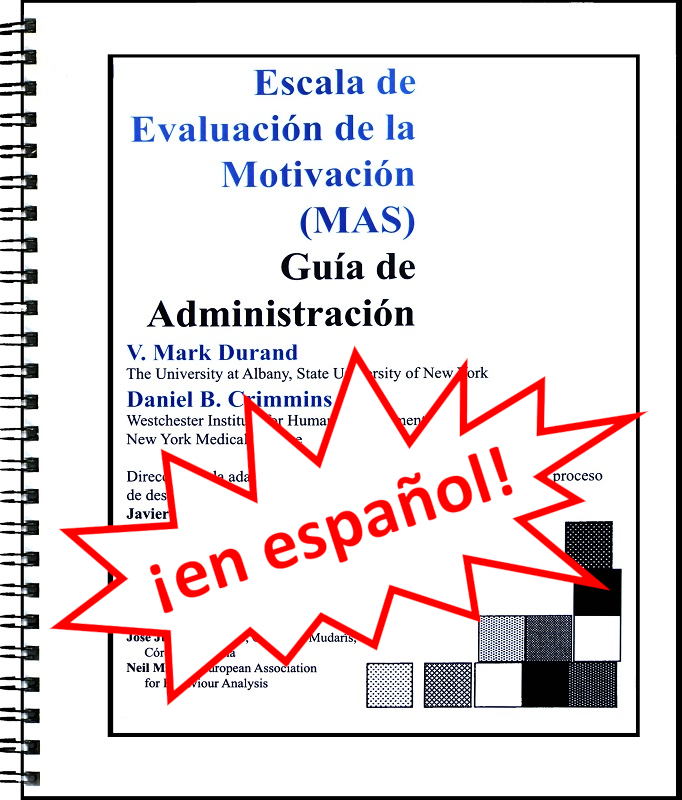 It is hoped that through the use of the MAS, people with severe behavior problems will have greater access to positive interventions." 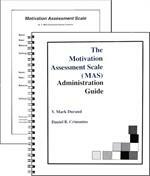 "One question that is often asked when discussing the Motivation Assessment Scale has to do with its necessity. Would simply asking teachers, parents, or others if an individual’s problem behavior was maintained by attention, escape, tangibles, or sensory consequences yield the same information as a full administration of the scale? In order to answer this question, we asked the teachers in a previous study to rank the four classes of maintaining variables for their possible influence on the individuals’ self-injurious behaviors (Durand & Crimmins, 1988). We observed that these rankings did not correlate significantly with the teachers’ MAS scores. Therefore, although teachers could predict an individual’s self-injurious behavior through their answers on the Motivation Assessment Scale, their global ratings of controlling variables were not as accurate. Guessing why individuals may misbehave may be helpful in order to generate hypotheses, but it is always important to follow up your guesses with more formal assessments."